The Lead Inspectors, Inc. is a full-service environmental testing company, specializing in lead, asbestos, and mold testing serving the Greater Chicagoland area since 1993. If you live in a home built before 1978, lead may be in your paint, piping, or soil. 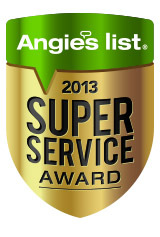 Call us today to schedule an inspection catered to fit your needs. We offer excellent service at a reasonable price! a Section 8 landlord with lead problems? buying or selling a home built before 1978? concerned about the risks of your child becoming lead poisoned? concerned about lead, asbestos, or mold hazards in your home? Protect your loved ones from these harmful substances and contact us to arrange for a professional inspection from a proven leader in the field of environmental testing. For more information on the types of inspections we offer, and the federal guidelines that we follow, please look at our protocols. For information on our experience and qualifications, please look at our professional resume. For more information on lead based paint and industry terminology, refer to our glossary.